I fell in love with this stamp set as soon as I saw it in the 2012 Annual Catalogue but when I got it I wasn't quite sure what to do with it. 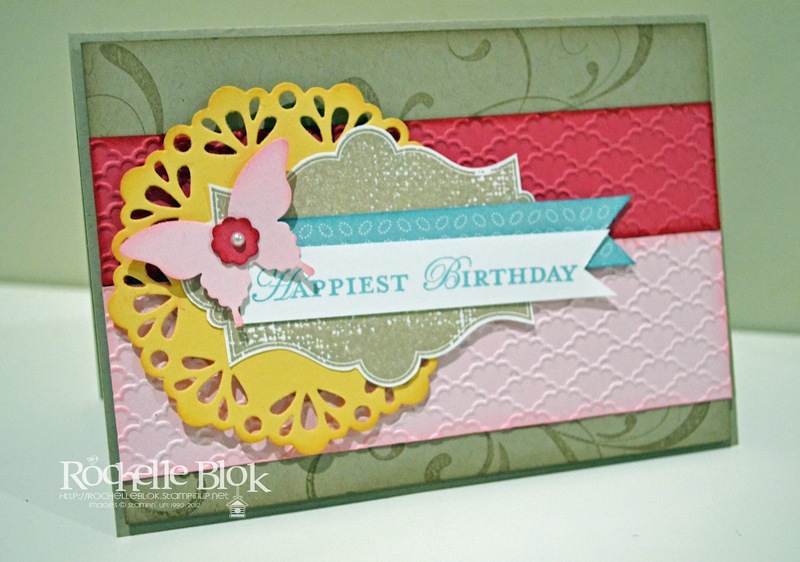 I had a bit of a play around with it and this card is a mixture of a few different ideas that I had seen on the Internet all rolled into one. 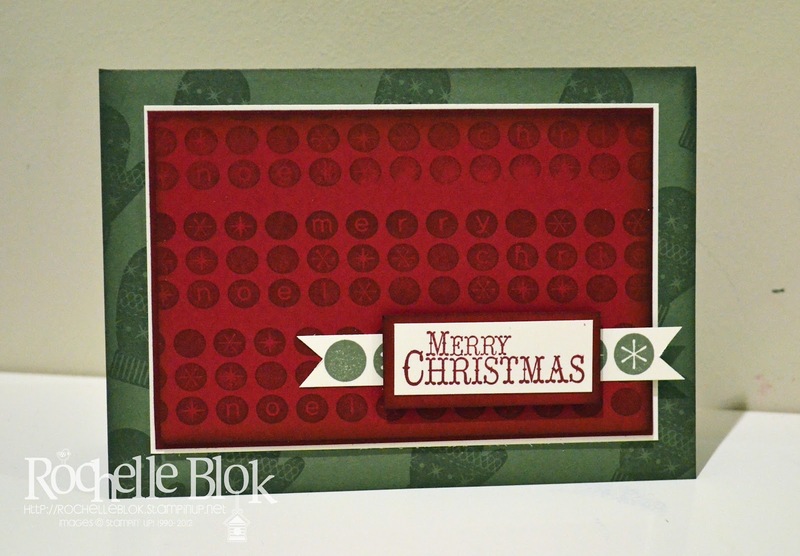 Its a great stamp set for layering and adding lots of dimension. Did I just hear where have you been? I know, I know! For the last month and a half there has been so much happening, sick kids, day to day travels, new Catalogue Launch, Internet down for three weeks...I could go on but I think you get the idea. 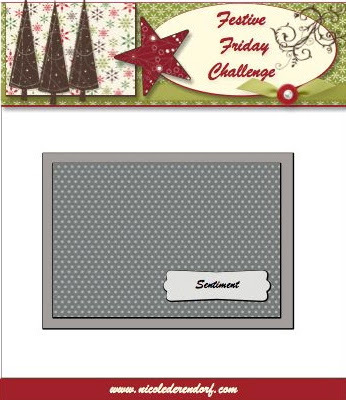 This card is for the Festive Friday Challenge over at Nicole Derendorf's Blog. 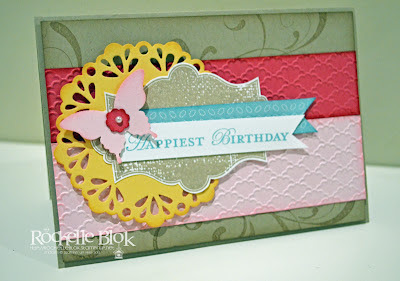 Click here to see here blog and come and join in! This week is a sketch challenge. Its a very simple sketch but what you make it is up to you. 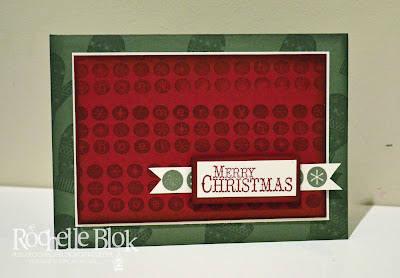 I've used a new stamp set from the New Annual Catalogue - Chock Full of Cheer and the matching Stampin' Around Wheel - Cheerful Christmas. Just wanted to let you all know that we have had huge Internet problems for the last month so I haven't been able to post on here. I haven't been ignoring you all! I am back and I do have a back log of posts to put up here so watch this space! Looking forward to showing some of my creations with you!